2014 Intrepid 475 Panacea Updated With Triple 627 H.P. Seven Marine's With Only 150 Hours. 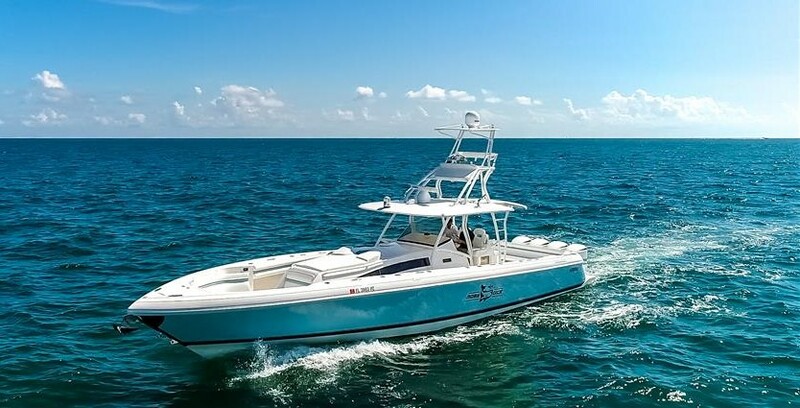 This Boat Will Cover All Aspects Of Your Boating Needs, Fishing, Diving And Family Fun! Includes An Outstanding Garmin Electronics Package, Helm Seating For 6, Dive Door And So Much More. Offered For Sale By The Original Owner, Always Stored Indoors And Professionally Maintained. Engine Service Just Completed And Ready To Go! SYS Yacht Sales is pleased to assist you in the purchase of this vessel. This boat is centrally listed by Intrepid Southeast.